Click HERE for part One of a two-part interview on CBS Channel 58 in Milwaukee, WI aired May 2-3, 2012. Chris was featured in a news story about Self-Defense and how your Homeowner's Insurance may or may not cover you - click the link to read the story now! Click HERE for part Two of a two-part interview on CBS Channel 58 in Milwaukee, WI aired May 2-3, 2012. 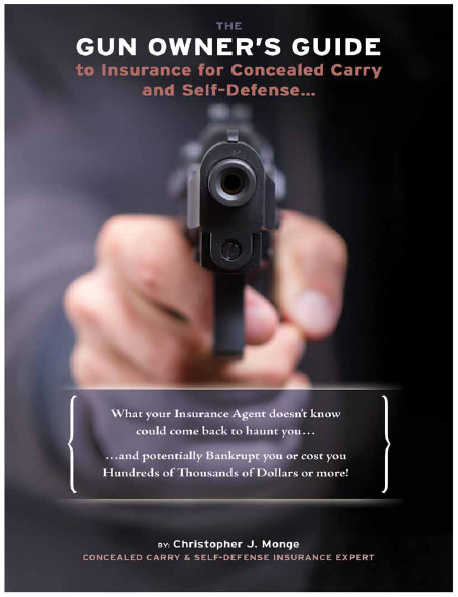 Chris was featured in a news story about Gun Owner Insurance Mandates being contemplated by some State Legislatures and how your Homeowner, Renter or Umbrella policy would provide coverage PLUS why your Homeowner's Insurance may or may not cover you for Self-Defense Incidents - click the link to read the story now!